George Rego Sensei (5th dan) is a lifelong martial artist. Today he is widely recognized as one of the most prominent minds, masters, and practitioners in the art of Jukido Jujitsu. As a direct private student of the founder of the the art, his mission as a martial artist is to personally personify and pass forward the highest possible expression of the art. Shortly after beginning his training under Shihan Paul Arel (founder) at the International Kokondo Association’s honbu dojo (world headquarters) as an eight year old child it was apparent to many high-level sensei that Rego was a prodigy with an striking combination of talent, an obsession with technical perfection, and a passionate curiosity for continuous improvement. In an exceedingly rare break from his own conservative tradition in awarding teaching authority, Shihan Arel granted IKA Instructor Certification to Rego when he was teenage shodan (1st degree black belt). This achievement made Rego the youngest person to ever be awarded a full teaching license in the Kokondo martial arts. For a considerable number of years he remained the youngest Jukido Jujitsu sensei in the world. Sensei wasn’t only entrusted with heading a dojo but given the responsibility of expanding the reach of the art when he moved to Palm Coast, Florida. The Southeastern United States was once uncharted territory for the style and association. Despite his young age, the founder maintained complete and total confidence in his young black belt. At the 1999 annual IKA New England awards banquet he staunchly declared, “George is going to head up Florida and do amazing things! I know he will! I know he will!” Within a few short years, Rego Sensei had the most well attended IKA dojo worldwide. In 2004 he expanded the dojo to a full-time storefront location. In 2005 he was awarded the IKA’s Martial Artist of the Year (renamed the “Master Robert Longo Award of Excellence) for greatly expanding the scope and standard of the art. His leadership style, technical mastery, contagious passion, and the deep care for those he teaches created a world-class dojo that is widely acknowledged and deeply admired within Flagler County community and beyond. Like his sensei before him, Master Rego strongly advocates that martial arts provide a strong form of physical education but ultimately that this education should be most prominently focused on realistic, practical, and effective self-defense. His dojo, like all in the IKA, strongly and unapologetically emphasize that jujitsu be taught for it’s original purpose — to empower the smaller and weaker to defend themselves against the bigger and stronger in real-life combative encounters. 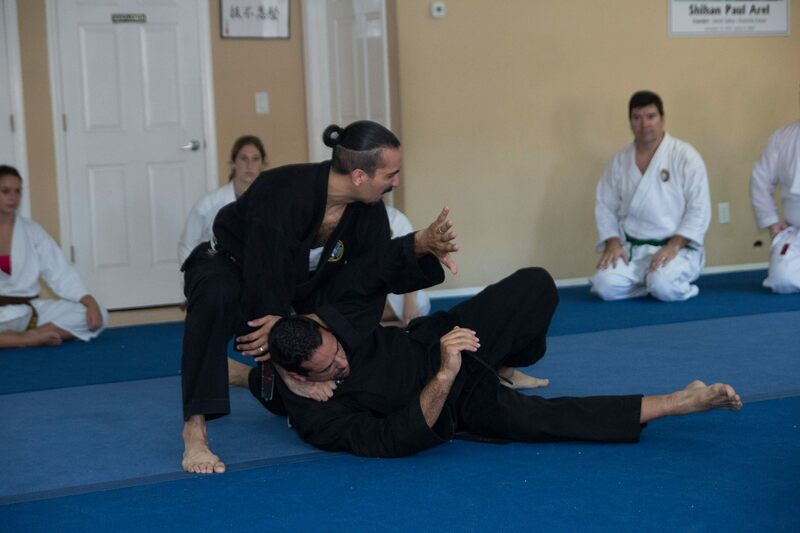 With this in mind, Rego Sensei embraces fully the ideology of “combative completeness” so that his students and students of the art more broadly have a comprehensive set of skills to handle any reality in self-defense. 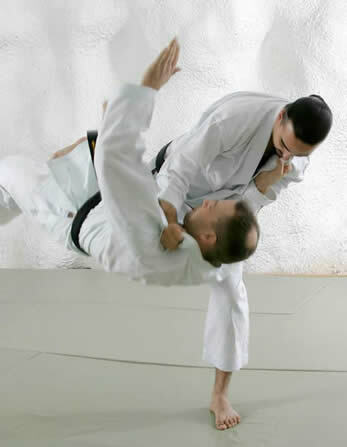 In teaching a comprehensive approach to self-defense, Rego Sensei does believe that randori (jujitsu & judo style sparring) and other competitive freestyle training methods do have an important role in a self-defense based art. Competitive training methods, as commonly practiced in many martial arts, can often be detrimental to self-defense oriented martial artists. However, Master Rego does believe that with strategic placement in the training regimen, appropriate training emphasis, and skill acquisition as the central focus (not scoring points, etc.) 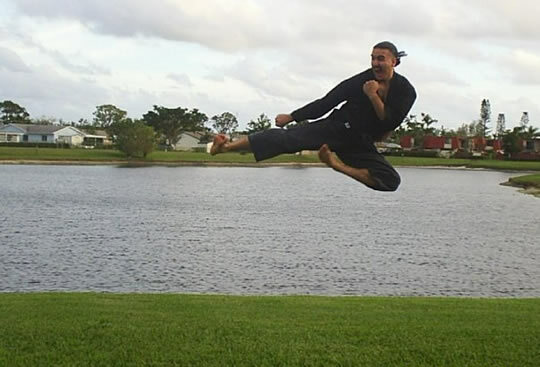 – this training methodology can be and should be critical to a self-defense oriented martial artist. 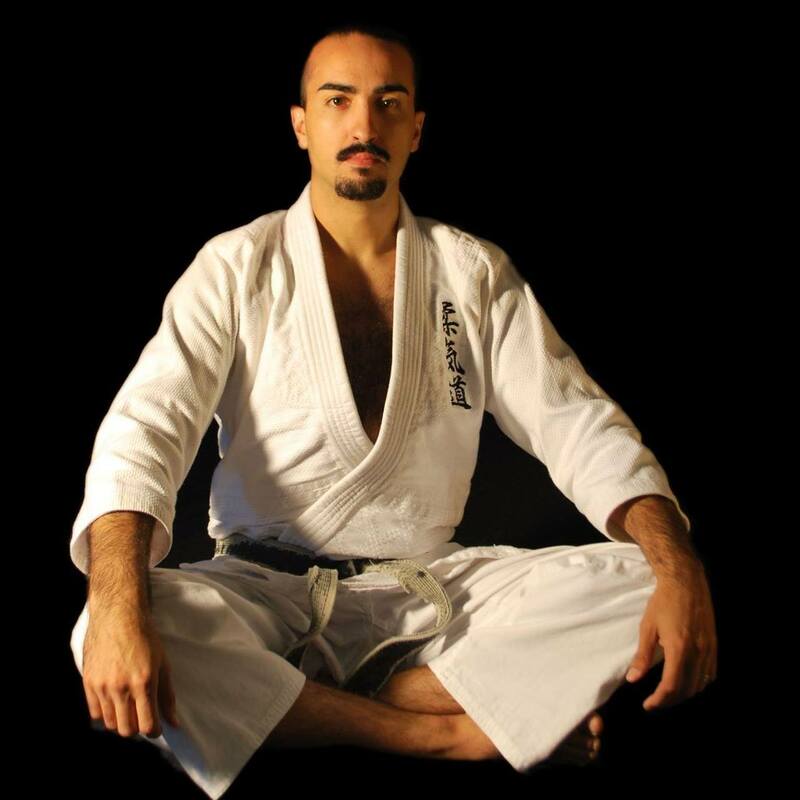 In studying this aspect of martial arts, for the purposes of both personal challenge and continuing education, — Rego became a multi-time champion in shiai (competition) and is recognized as a expert in the role of randori in Jukido Jujitsu. He is 7-time gold medalist in IKA shiai. Five of these gold medals being consecutive in the senior black belt division. He is only one of two lightweights in history to win the IKA Jukido Jujitsu Grand Championship (competition of black belt divisional champions, open weight). In 2010 at the IKA National Seminar in Seattle, Washington, Rego competed for the first time in several years in the 1st National Jukido Jujitsu Championship. He won the National Championship in the senior black belt division and secured his 7th and final gold medal in Jukido Jujitsu competition. In 2015, while in Louisiana, without any fanfare and very much on a whim, Rego Sensei decided to take part in the AAU National Freestyle Judo Championship. Although it was his first and only time competing in the freestyle judo format against experienced judo fighters and other grappling based martial artists (Brazilian Jiu-Jitsu, Sambo, Wrestling, and other jujitsu systems) he won and became the AAU National Freestyle Judo Champion in the Master’s Lightweight division. In this national championship he was undefeated and didn’t concede a single point in his fights. He utilized this experience to deepened his personal experience in this aspect of martial arts and to better understand the pros and cons of the strategy/tactics utilized by full-time sport-based grapplers. 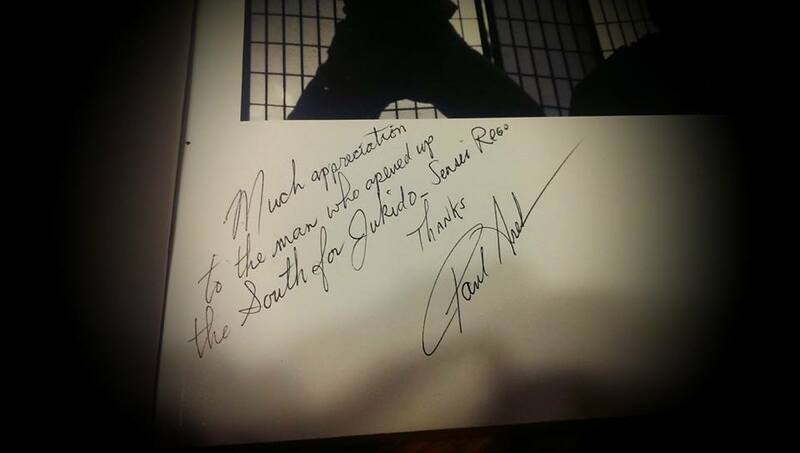 In January 2016, due to his life long dedication, unique talents, and passion – Rego was named as the co-director of the jujitsu division of the International Kokondo Association. As the IKA’s Director of Jukido Jujitsu, he is directly responsible for oversight, expanasion, and overall vision for the art and it’s sanctioned dojo worldwide. Master Rego is without debate acknowledged to be among one of the very best technicians in the art’s history. His approach is marked by cerebral prioritization of balance, efficiency, and an intuitive use of sudden overwhelming tactical superiority. His chief influence as a martial artist is his primary and first sensei – Shihan Arel. Others have also very directly influenced his technical development. Most notably is Kaicho Howard, who has mentored Rego since childhood. Kaicho Howard has made many deep impressions on Rego. As a technician, Rego views Kaicho Howard as the original standard barrier for the jujitsu branch of the Kokondo martial arts system and was the first, aside from founder, to actively show what the art could be under it’s most capable master technician. Rego has endeavored to be an heir to Kaicho Howard’s legacy as teacher and technician. Master R. Robert is also a major influence, especially as it relates to Rego’s views on Jukido Jujitsu as a truly effective “fighting” art, the value and role of creativity as a martial artist, and balancing the need for authenticity with evolution. Of course, other martial artists and sensei he has worked with have also played an instrumental and direct role as well. As a technician and thinker Rego has been indirectly influenced, in one way or another, by many masters who’s body of work he’s studied over the course of his own martial arts life. Some of these masters include: Jigoro Kano, Kyuzo Mifune, Yukio Tani, Mitsuyo Maeda, Katsuhiko Kashiwazaki, Hiroshi Katanishi, Neil Adams, Hidetaka Nishiyama, and many others. “Those who can, do; those who can’t, teach.” — This old quote is one that Rego Sensei detests on a fundamental level. He has prided himself and instilled in his most senior students the importance of not only leading effectively as a teacher but as a martial artist who can “walk the walk” technically. As he often states, “I’m sometimes the teacher but I am always the student.” As a student and teacher Rego continues to strive for the highest levels of excellence in himself, his direct students, and all Jukido Jujitsu students worldwide.